Tsujigiri is a Japanese word that doesn’t have an equivalent in English, or any other language for that matter. That’s because tsujigiri describes a ghastly samurai practice that, thankfully, never made it out of Japan. 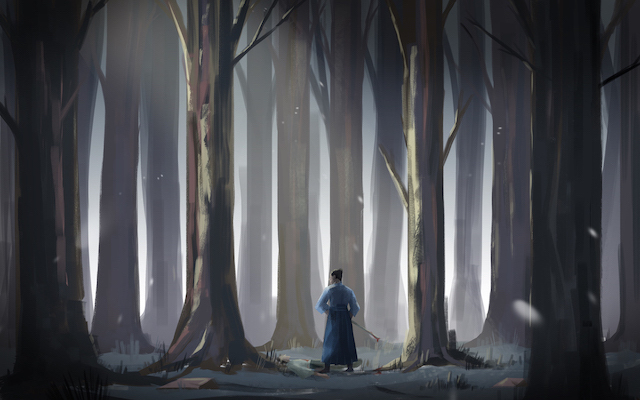 The swordsman slashed at an unsuspecting victim to try out his new katana…or just for the sheer thrill of it. The practice of slicing off an unsuspecting person’s head or other body part with a freshly sharpened katana. It’s usually done at night to an innocent passerby who happens to be walking down the wrong dark road at the wrong time. A person who practices tsujigiri can be referred to as tsujigiri. To get a better understanding of the word, let’s look at its two parts. "street crossing" or "intersection", and more broadly, "street." Tsuji was originally pronounced tsumuji (つむじ), which now means “hair whorl” using the kanji 旋毛. To cut, slash, or slice something off (especially a head or animal body part) with a knife or katana. When combined with tsuji, the consonant in kiri becomes voiced, meaning the き becomes ぎ. This is caused by a phenomenon called rendaku or “sequential voicing,” which you can read all about in our article. This gives you giri, when combined with tsuji, to form the full word: tsujigiri. Tsujigiri always involved swords and gore, but it started off as a more honorable medieval term related to bushi and traditional duels. Then the term evolved as the practice devolved, and by the Warring States Period (1467-1600), tsujigiri became a dishonorable act. Samurai and kabukimono (rogues) turned it into a horrific popular pastime. The reasons for tsujigiri varied, but usually the swordsman slashed at an unsuspecting victim to try out his new katana, to practice a new move, to test his strength, or just for the sheer thrill of it. There was even a superstition floating around that said performing tsujigiri on 1,000 people would heal illness. The victims were usually merchants or peasants. There was even a superstition floating around that said performing tsujigiri on 1,000 people would heal illness. Fortunately, it all ended in the 17th century, when the Edo government made the practice punishable by death… Well, it almost ended there. Towards the end of the Edo period there was a hiccup and tsujigiri reared its ugly (decapitated) head again, briefly, for reasons of poverty and frustration. Most tsujigri this time around committed the act in order to rob a person, rather than to test out a new katana. 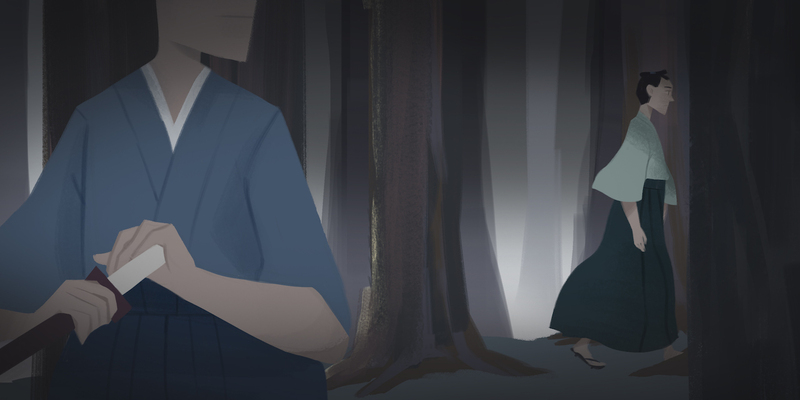 Many people were starving, and some samurai relied on tsujigiri to steal money for food. To conquer tsujigiri once and for all, the shogunate upped the punishment. Not only would the military government execute tsujigiri, but they would first drag the killer around town for all to witness. This stiffer penalty might have helped squash tsujigiri, but the real hero was an older swordmaster in his mid-50s named Yakuro Saito, who killed a notorious tsujigiri and then fought to put a final end to the deadly practice. Touhou Project’s video game “Immaterial and Missing Power” features Youmu Konpaku, a silver-haired female swordfighter who is often referred to as “Tsujigiri Youmu.” She is a cute but mighty half-human half-phantom, who teaches fencing lessons part time. Her shishou tells her that “truth-slashing is something which you know.” Youmu Konpaku doesn’t always succeed in her missions, but she is known to move like a tsujigiri. “Crossroads Killing” is a feature of the video game "Way of the Samurai 4" (Rising Star Games). 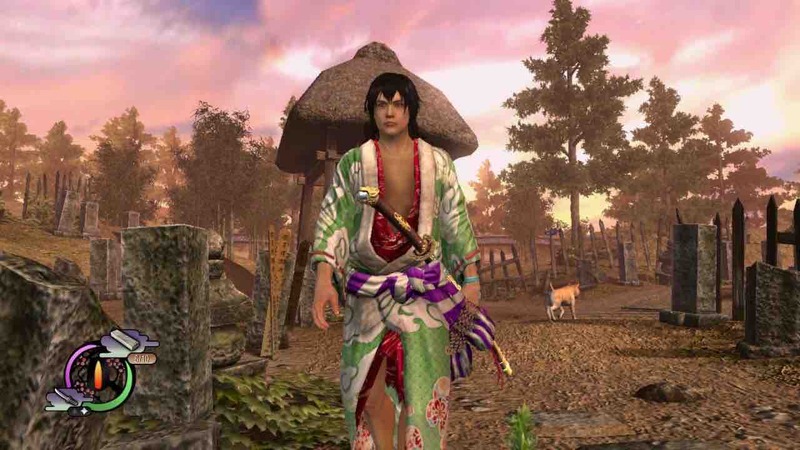 When a player connects to PSN, a player’s character becomes a “wandering samurai” that roams through other players’ worlds and then duals or performs “online tsujigiri” for a custom sword. Pokémon has a “Night Slash” attack move introduced in Generation IV, which goes by the name of “Tsujigiri” in Japanese. Some of its stats include: Category – physical; Power – 70; Accuracy – 100%; Battle type – dark. Not a move you want to encounter unprepared!